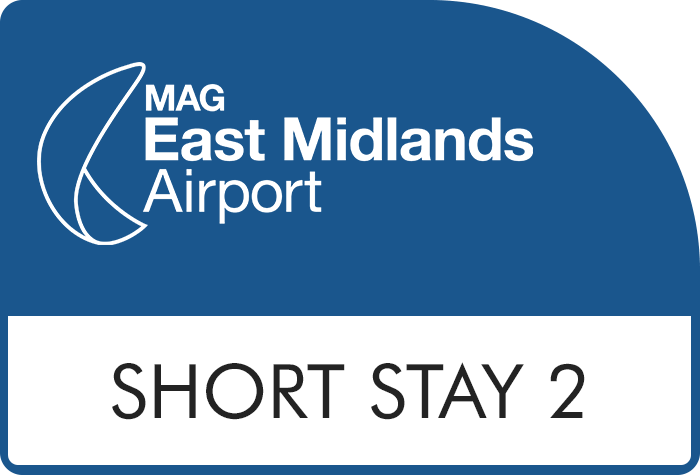 Short Stay 2 (formerly Express Park) at East Midlands provides secured on-airport parking just a few minutes walk from the terminal. There's no need to take a bus transfer to the airport, just unload and head straight to check-in. Book in advance online with Airparks and you can find some great deals. You can find discounts of up to 70% off the on-gate parking price for East Midlands Airport parking when you pre-book; a great way to save some cash for your holiday spending money. Don't forget, East Midlands Short Stay 2 is also covered by our Best Price Guarantee. Transfers: No transfers are needed as the terminal is within walking distance of the car park. Security: Short Stay 2 has been accredited with the Park Mark award which signifies the high level of security you will find at this car park. There are 24 hour patrols, lighting, a fence and entry/exit barrier. Arriving at Short Stay 2: When you arrive at the car park, drive up to the entry barrier. The automatic number plate recognition cameras will confirm your booking and give you a ticket from the machine. The barrier will open allowing you to pass through and find a space. If nothing happens at the barrier, press the assistance button (not the ticket button) and have your booking confirmation ready. You'll be asked to confirm your booking, then you'll automatically be issued a ticket from the machine. If nothing happens at the barrier, don't insert your debit/credit card as this will charge you for a new booking. On return to East Midlands airport: Once you're back at the airport, head back to your car and drive to the exit barrier. Insert your ticket and the barrier will lift to let you out. If nothing happens after a minute, call the assistance button for help, but don't be tempted to insert a bank card as this will charge you for your booking twice.